After receiving his Bachelor's Degree from USIU in San Diego in 1975, Dr. Miller attended U.C. Davis School of Veterinary Medicine, graduating in 1979. He practiced in Los Gatos and Almaden Valley until 1991 when he became the owner of Scotts Valley Veterinary Clinic. Dr. Miller enjoys general medicine and surgery cases in companion animal practice. 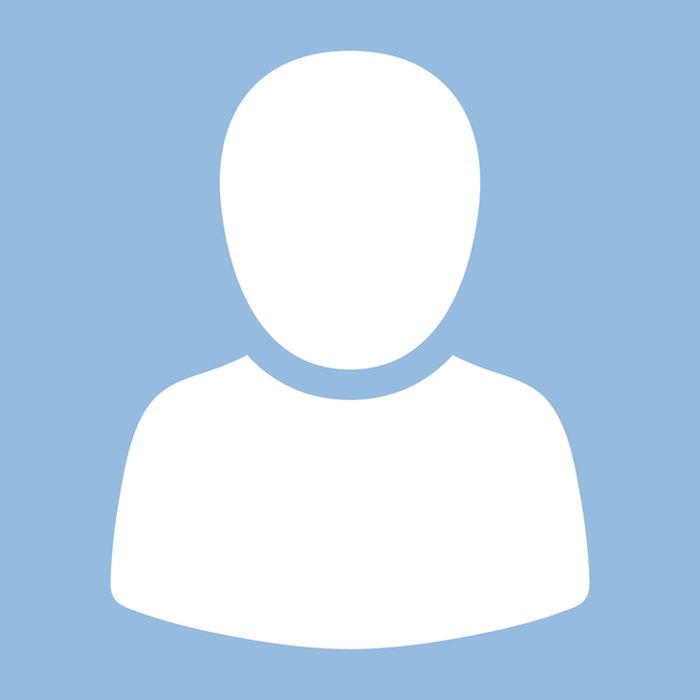 He has a special interest in orthopedic surgery, laser surgery and dentistry. He has extensive post-doctorate training in these areas as well as ophthalmology and dermatology. Clients appreciate his warm and personable presence. Dr. Miller has an energetic and loving lab mix named Buddy. He is proud of his two daughters: Lauren and Emily. His eldest, Emily, recently graduated Veterinary School at U.C. Davis and has joined him in practice at Scotts Valley Vet. Dr. Miller enjoys fly fishing, kayaking, snow skiing and stand-up paddle boarding. 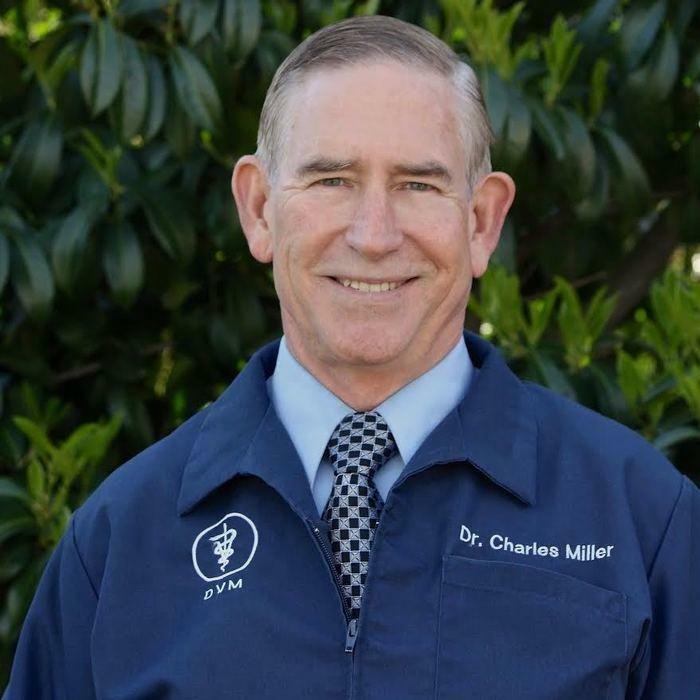 Dr. Miller is a member of the Monterey Bay Veterinary Medical Association, the California Veterinary Medical Association and the American Veterinary Medical Association. He is also a member in good standing of the American Association of Feline Practitioners. 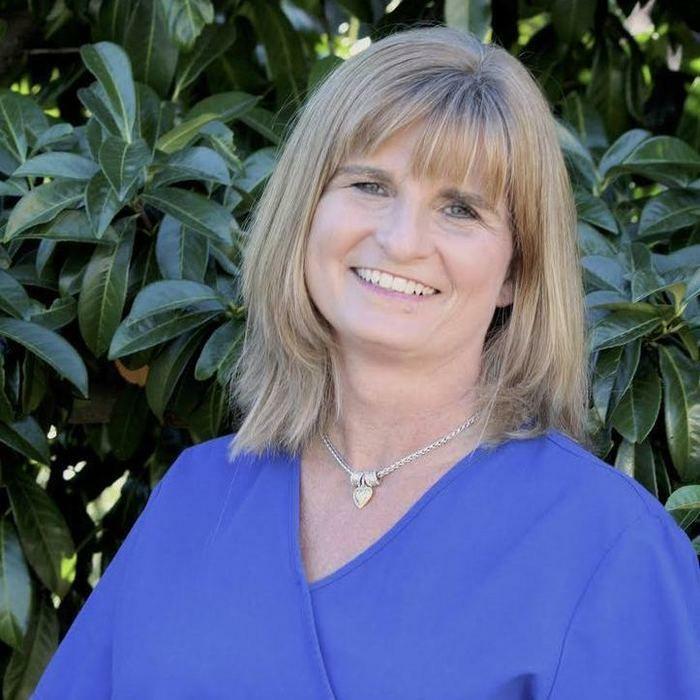 Dr. Hill has been practicing at Scotts Valley Veterinary Clinic since 1995. She attended U.C. Davis-receiving her B.S. in 1979 and her D.V.M. degree in 1983. 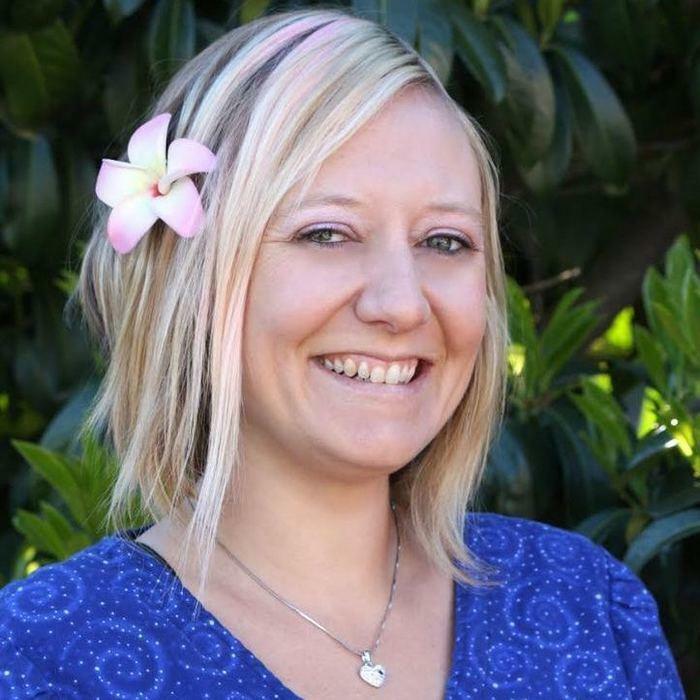 After graduation, she spent 8 years in Pacific Grove working in a busy small animal practice. Dr. Hill's favorite aspect of general practice is being able to care for a pet from birth to old age, allowing for a deeper understanding of each pet's individual healthcare needs. She values building relationships with clients that last through multiple pets. She also has a strong interest in canine and feline behavioral issues. Dr. Hill has two dogs (a border collie, and a border collie mix) which accompany her in many of her outdoor activities and treat her two kitties as part of the pack. Her leisure time activities include skiing, backpacking, scuba diving and traveling with her husband to visit her two grown children in the Pacific Northwest. 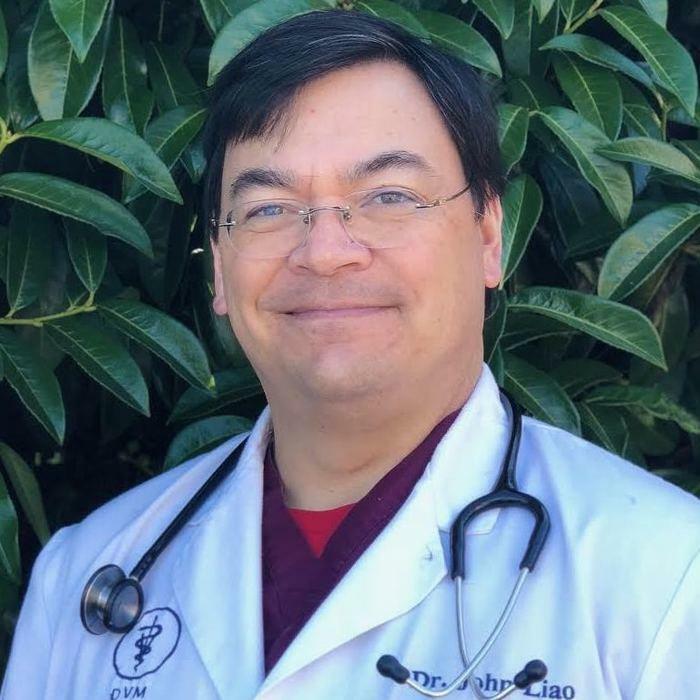 Dr. Hill is a member of the Monterey Bay Veterinary Medical Association, the California Veterinary Medical Association and the American Veterinary Medical Association. Dr. Charles Miller is overjoyed to welcome his daughter, Dr. Emily Miller, as an associate veterinarian! After receiving her Bachelor's degree in Biology from UC Davis in 2009, Dr. Emily Miller attended the U.C. Davis School of Veterinary Medicine where she graduated in June of 2013. 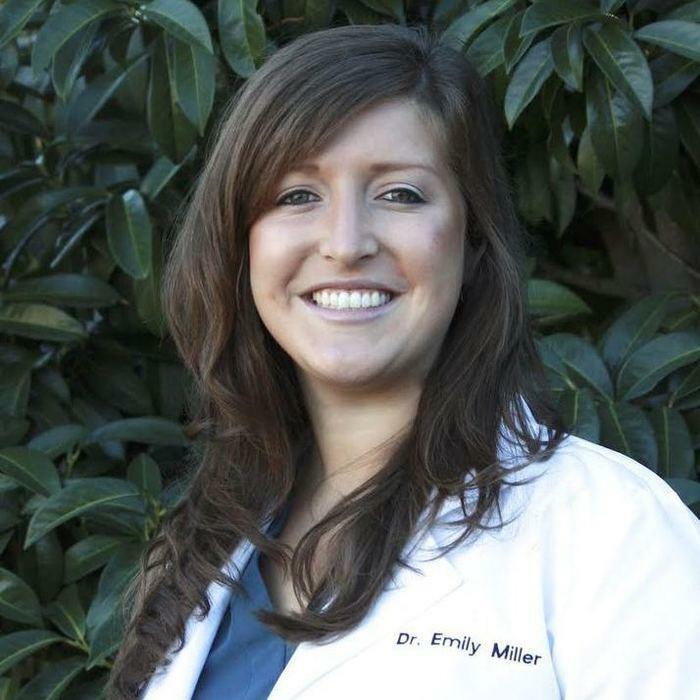 In order to distinguish the two Dr. Millers, Dr. Emily Miller will be known as Dr. Em. Dr. Em enjoys all aspects of general medicine and is excited to meet our clients and get to know all members of their families. Dr. Em has a wide range of special interests in veterinary medicine including behavior, nutrition, radiology and surgery. She is eager to use our new ultrasound and digital dental x-ray machine to apply her advanced training with these technologies. As a recent graduate, Dr. Em enhances our practice by bringing up-to-date methods and recently developed medical standards from her studies at UC Davis. Dr. Em values building lasting relationships with clients and their pets. Clients have already begun to appreciate her warm, welcoming demeanor and her excitement for the profession. Dr. Em has a feisty little Shih Tzu named Oscar, who is a constant source of entertainment and joy. Outside of work Dr. Em is very active enjoying photography, beach activities, water/snow skiing, hiking and scuba diving. Dr. Em is a member of the California Veterinary Medical Association, the American Veterinary Medical Association and the Monterey Bay Veterinary Medical Association. We are excited to welcome the newest doctor to our veterinary team, Dr. John Liao! After being in business for almost 30 years and a practicing veterinarian for over 20 years, and working on both sides of the Hill, Dr. Liao is proud to join the SVVC team! Dr. Liao is excited to work a little closer to home, after having most recently working in Watsonville. Although Dr. Liao grew up on the East Coast, Dr. Liao has lived in Santa Cruz since 1982. His avocation before entering the veterinary field was marine biology earning both a B.A. and M.S. from UC Santa Cruz. He has been lucky enough to have been both a marine mammal trainer and research physiologist before being awarded a Doctorate in Veterinary Medicine from UC Davis. He loves surgery and looks forward to helping the pets and clients at SVVC. Although he no longer races or build race cars, he still loves working on cars and has a passion for Mustangs. He lives locally and has a 10 minute commute from the house that he shares with his previously stray cat, Borris. He is currently dog-less, but appreciates being able to get his dog fix at work while waiting for the right, next dog to come into his life. Dr. Liao is currently a member of the California Veterinary Medical Association, the American Veterinary Medical Association and the Monterey Bay Area Veterinarian Medical Association. Carol is our dedicated and hard-working office manager and staff supervisor. 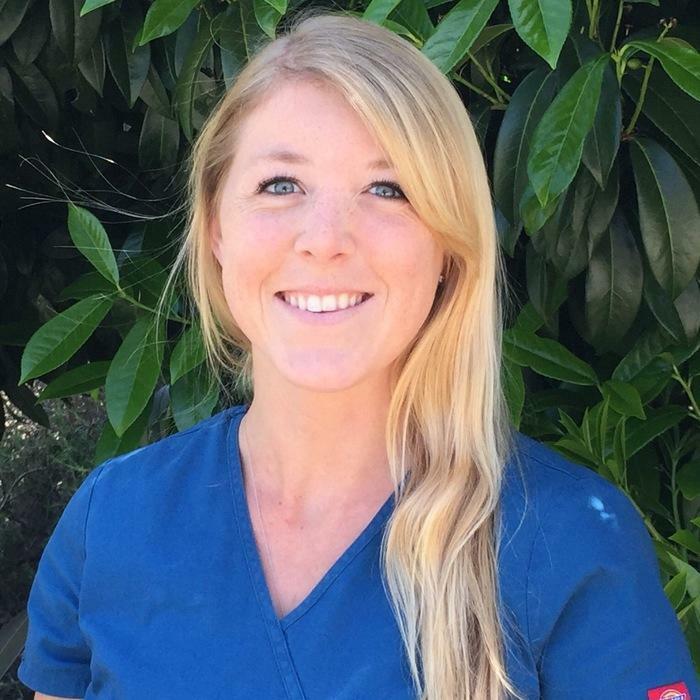 Born and raised in Santa Cruz, she has worked in local veterinary clinics since the age of 15. 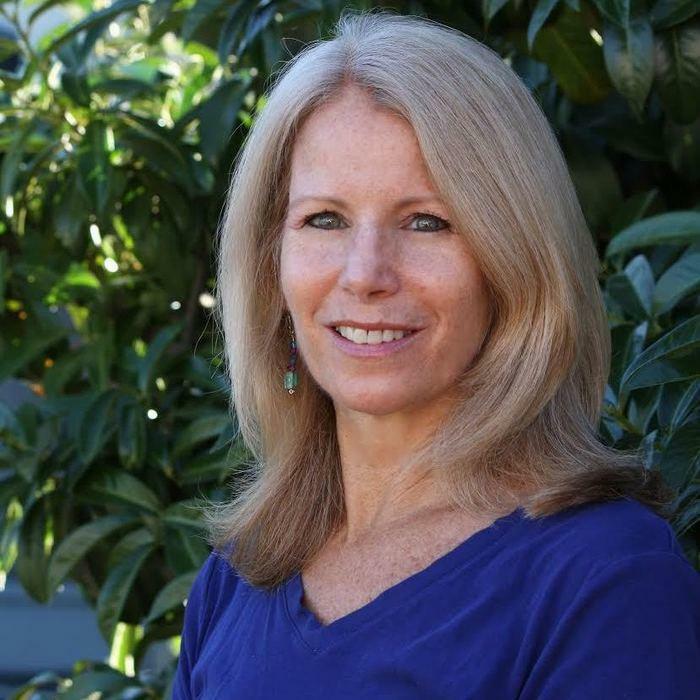 She was recruited to manage Scotts Valley Vet in 1982 and has been the backbone of our clinic ever since. She is a devoted mother and wife, happily raising three lovely daughters. Carol values being actively involved in her daughters' education and therefore spent 18 years volunteering in the public school system. She gets the most pleasure from spending time with her family and friends, especially outdoors. Mari Jo began her vet reception career in 1999 but started with SVVC in 2007. We are very lucky to have her fun personality on our staff. She is always making her co-workers laugh. She grew up in New Jersey and then spent 35 years in Colorado where she worked reception at a large veterinary hospital. We appreciate the unique perspective her experiences bring to our staff. Mari Jo prides herself in knowing our clients on a personal level and takes the time to listen and adjust to their needs. Outside of work, family is her priority; she delights in time spent with her family especially her adorable grandson Lennox. 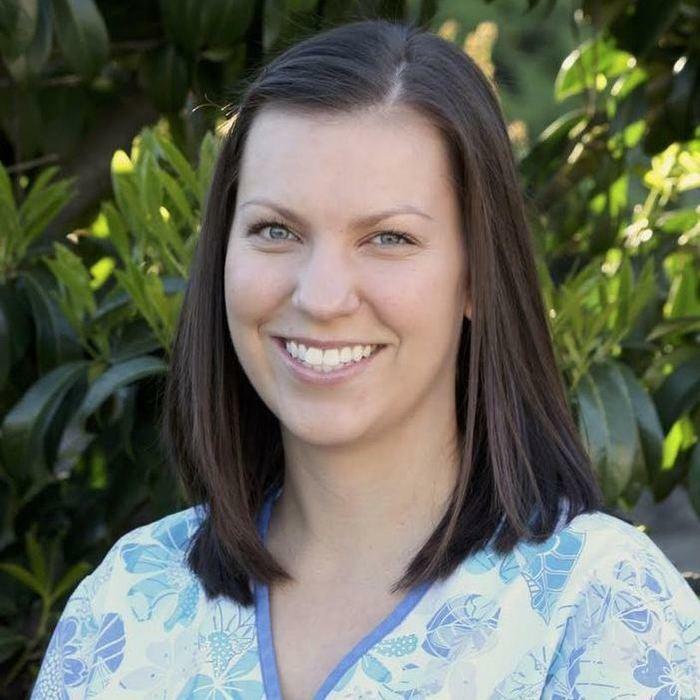 Becca joined the Scotts Valley team in April 2011. Her experience in Veterinary medicine started when her own dog Cooper became ill as a puppy. Even though he's now a healthy senior, Becca never lost interest in the animal healthcare field. 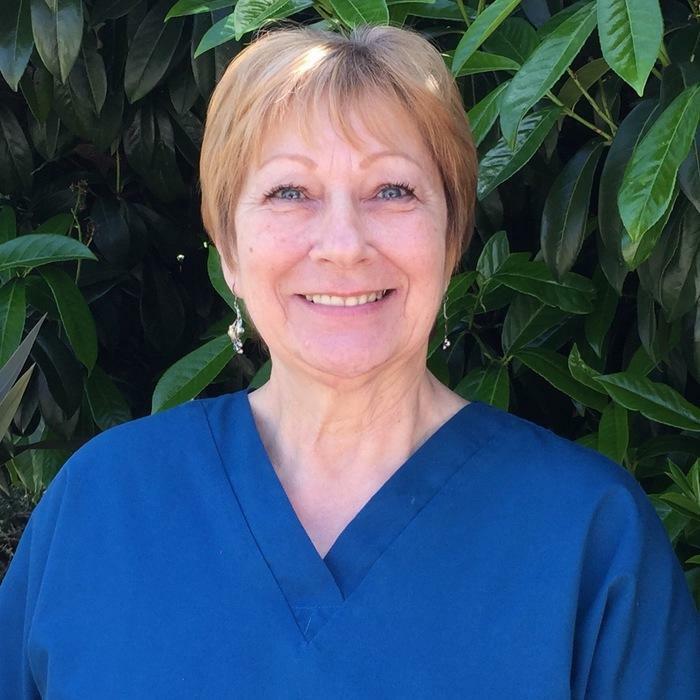 Through years of experience at several different Veterinary clinics in Santa Cruz County, she has developed a diverse skill set including surgical monitoring, radiology, and phlebotomy. She is delighted to have finally found her family with the Scotts Valley team. Becca enjoys spending weekends with family, friends and of course her two dogs, Cooper and Lewis. She loves spontaneity and adventure, or just relaxing by the beach. Her goal in life is to always have a foundation in Veterinary medicine, whether that is with domestic animals or tracking and monitoring the wildlife of Africa. Summer has always had a love for animals and began her career in a Doggie Daycare and Spa in 2003. 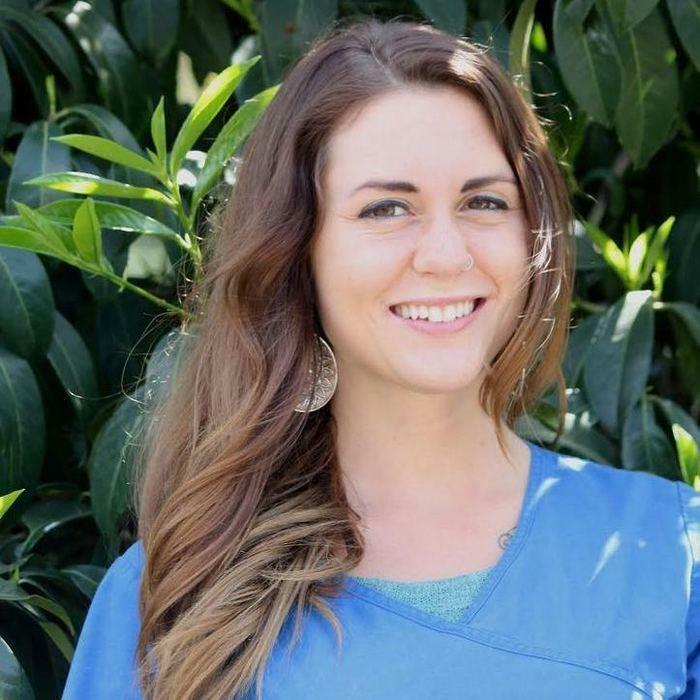 She then worked as an animal care technician and trainer at a boarding facility in Hawai'i before pursuing her first job as a veterinary assistant in Santa Cruz in 2006. 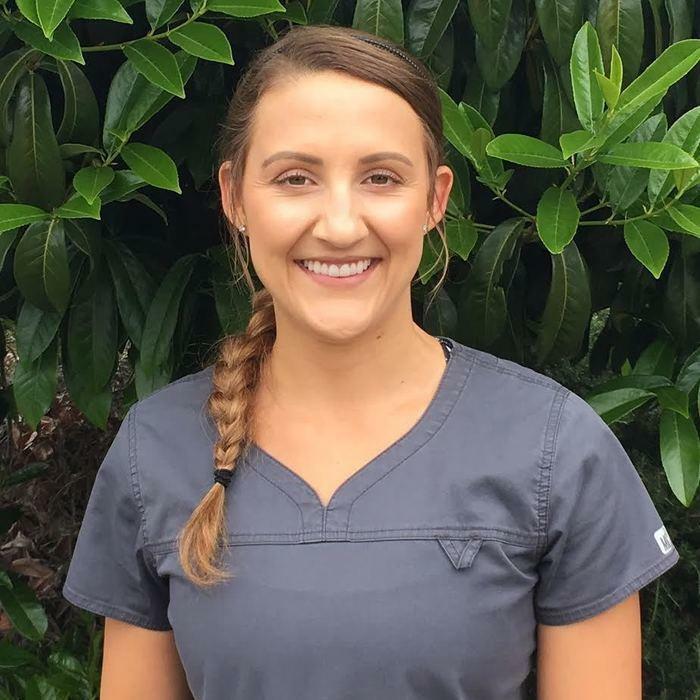 Summer graduated from the Veterinary Technology program at Foothill in 2011 and joined the Scotts Valley team later that year. 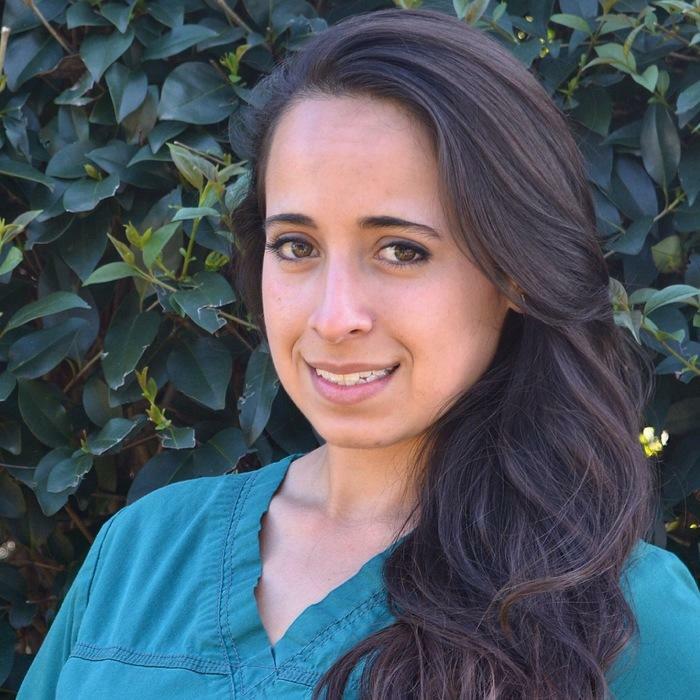 She continues to broaden her medical background as a Registered Veterinary Technician and enjoys educating clients and caring for their wonderful pets. Thorough and detail oriented, Summer constantly strives to improve clinic efficiency and the quality of patient care. Kaitlyn is passionate about all living creatures, but especially wildlife. 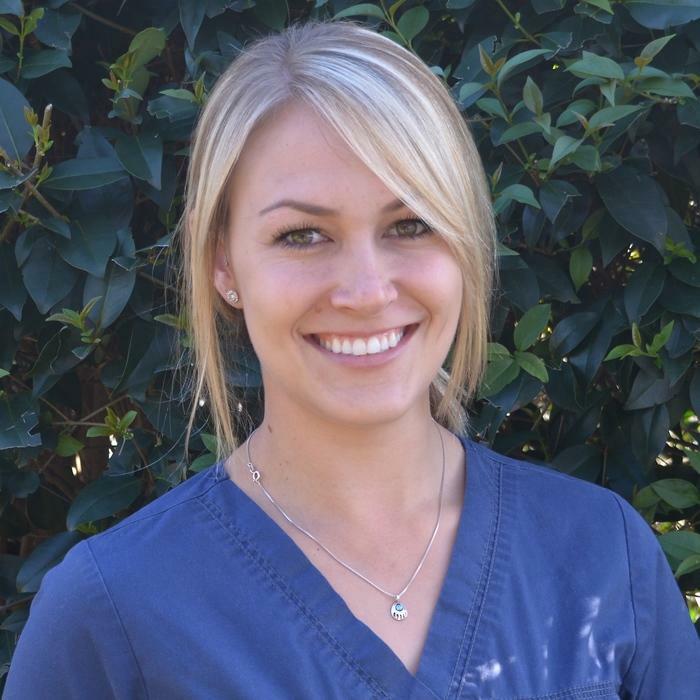 She was thrilled to join the Scotts Valley team in October of 2012 as a Receptionist/Vet Assistant. You will know her by her beaming smile and warm nature. Compassionate and curious, Kaitlyn has always sought out opportunities to work with animals and give back. She volunteered at the SPCA and then moved on to work at Wild Things (now Monterey Zoo) where she handled a variety of exotic and unusual wildlife and gained many important skills. Outside of work, Kaitlyn is active and loves spending time in nature, where she can apply her other passion, photography. We are grateful to Kaitlyn for contributing her great ideas to our website content while also taking many of the photographs shown. Cassie grew up in an animal-loving family who always had various critters around including dogs, cats, rabbits, hamsters, rats, chickens, lizards, fish, and a horse named KC. As a young girl, she took in injured birds and nursed them back to health. She currently loves a fluffy cat named Pax, and two adorable rescue dogs - Zoie and Dennis, who love hiking and the beach. Cassie has been working professionally with animals since she was a young teenager. Her first job was as a stable girl at a riding and training facility. Since then, she's had various experiences at large boarding facilities as well as small, private-animal practices. She took her passion for animals a step further when she graduated with a degree in Veterinary Technology from Carrington College in 2012. With her various experience and education, Cassie is comfortable working with all animals - large and small and brings new insight to SVVC. Jessica has always loved animals. She has an innate curiosity for all living creatures and how they work. She was thrilled to join our team in November of 2014 as Kennel Technician and Technician Assistant. She volunteered at SCCAS, where she quickly learned about fast pace vet medicine and surgical procedures. 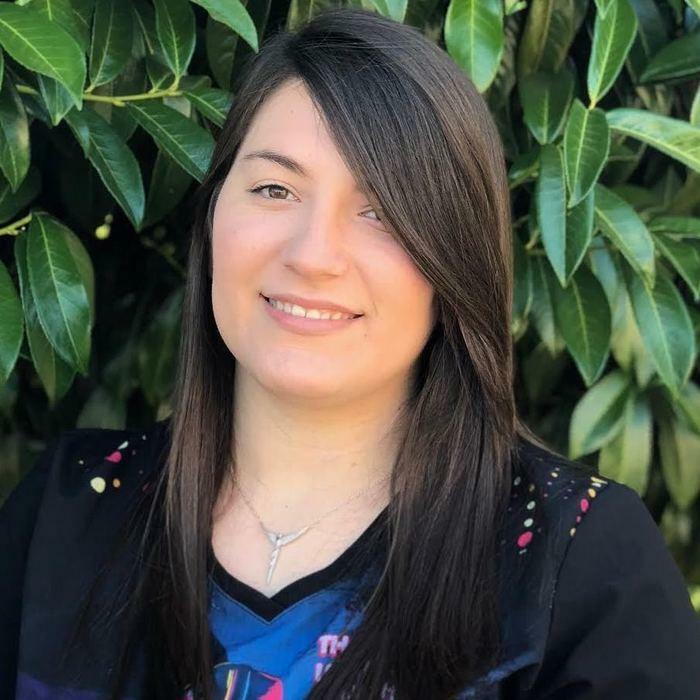 She received a Biology AS degree graduating from Cabrillo College Spring of 2015 and is pursuing her thirst for knowledge in the biomedical world at San Jose State University. She is intrigued with animal behavior, vet medicine, human medicine, oncology, ecology/conservation and has goals to settle in a career that would touch in all of these fields as well as owning her own animal sanctuary some day. Outside of working at SVVC, Jessica also enjoys helping her family foster german shepherds from the German Shepherd Rescue Society of Northern California. In her downtime, she enjoys her hometown of Santa Cruz by spending time with friends/family, her rescue pups Cooper and Brodie, and her newest member of her furry family, Taz. In June of 2016, SVVC gladly welcomed Valerie as a Receptionist/Veterinary Assistant. We appreciate that Valerie walks through our door eager to learn something new and is constantly providing compassionate care to all animals as if they are her own. From an early age, it was clear that someday she would work in the animal field; constantly bringing critters home in hopes she could provide them with a happier, healthier life. She has been fortunate enough to grow up with a variety of non-human companions, big, small, furry or feathered, you name it she had it! In 2016, Valerie received her B.S. degree in Molecular Biology from Cal-State Monterey Bay. Outside of work, Valerie is a thrill seeker who enjoys endless outdoor activities, especially mountain biking, camping, snowboarding, water sports, and dirt biking. She also loves spending quality time with her 16 year old macaw, Makuni. We are excited to welcome our new receptionist. Kate began working as a veterinary receptionist in 2014 but started with SVVC in March 2018. She grew up in the Bay Area, just North of San Francisco, before moving to Santa Cruz in 2014. She is currently a student at Cabrillo College and plans to soon transfer to UCSC to pursue a degree in Economics. Kate has a love for all animals, especially her cat Lucy. In her free time, she enjoys cooking, knitting, and spending time outdoors with her friends and family. We are overjoyed to welcome our newest technician assistant Brittany. She has worked in the animal field for over 7 years, getting most of her early experience where she grew up in Georgia working for a very renowned veterinarian. She eventually moved to Santa Cruz and has worked is multiple community veterinary hospitals for the past 3 years. Brittany has an infectious smile and has a true passion for animal care. Outside of work Brittany enjoys wake boarding, scuba diving, "muddin", construction, video games and cooking (Brittany is known for the best peach cobbler in the state!). Brittany spends most of her time obsessing over her adorable cat Slade.